We alight the plane a little past 3 in the afternoon. 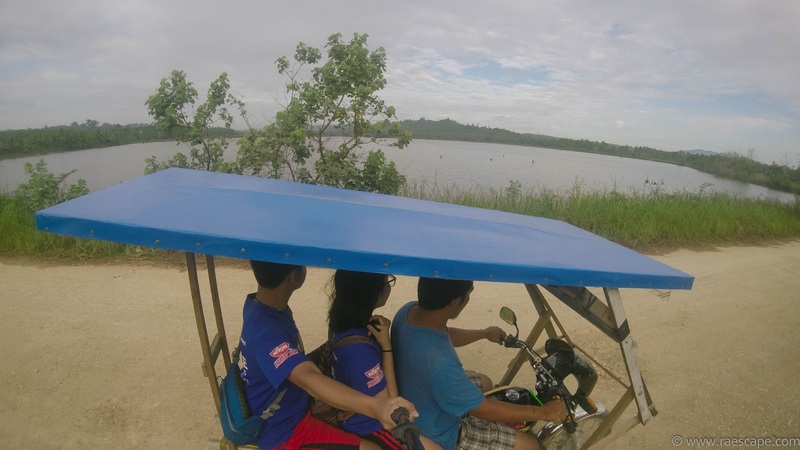 Our first stop would be in Bislig, Surigao del Sur, so we took a R4 multicab vehicle outside the airport that will bring us straight to Butuan Terminal. 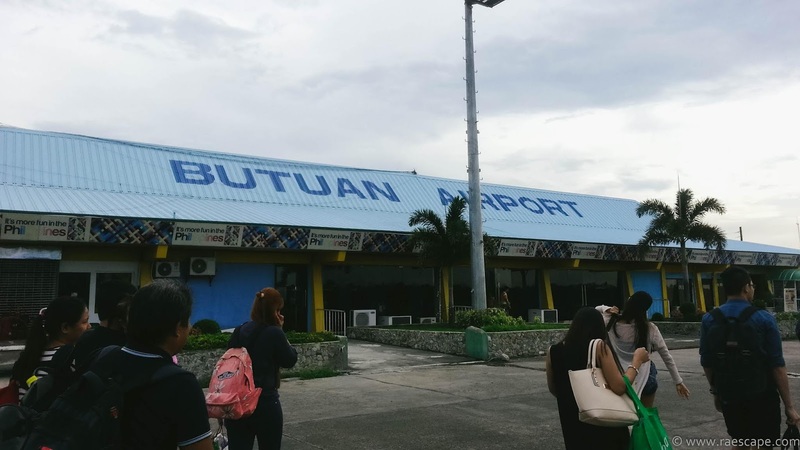 Here‘s all you need to know about the terminals on Butuan and especially, Surigao. There are Buses and vans headed to Davao, Cagayan, Tandag and Mangagoy (both located in Surigao del Sur.) The only bus company is the Bachelor Express. 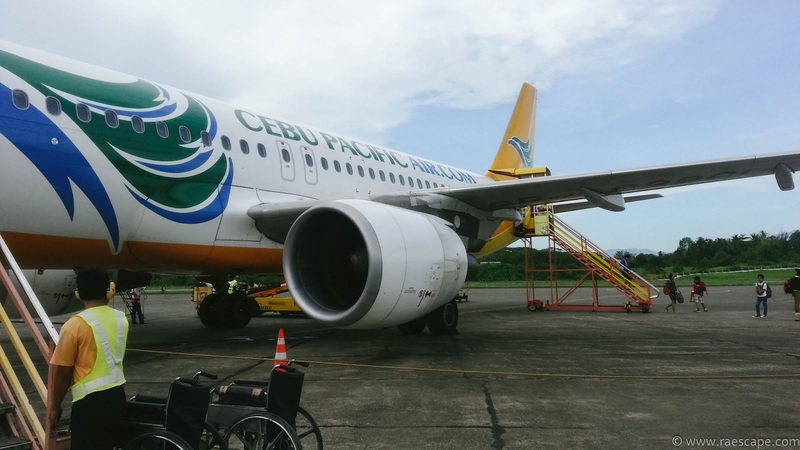 Almost all are non-airconditioned, except for those bound for Davao. I suggest you ride a van (most of them are Hiace or Adventure SUVs) if you want an AC-trip, but of course, with less leg-room. Both buses and vans wait until their vehicles are full before they start the said route. Economically, buses are much cheaper, and you can still get your student discounts. Both vehicles stop at every terminals in between their destinations. It means both passes every town‘s terminal— they get off the highway, stop at the public terminal, and get back to the highway again. This would be a little frustrating if you‘re in the rush, so i suggest hiring a tricycle or habal-habal instead. 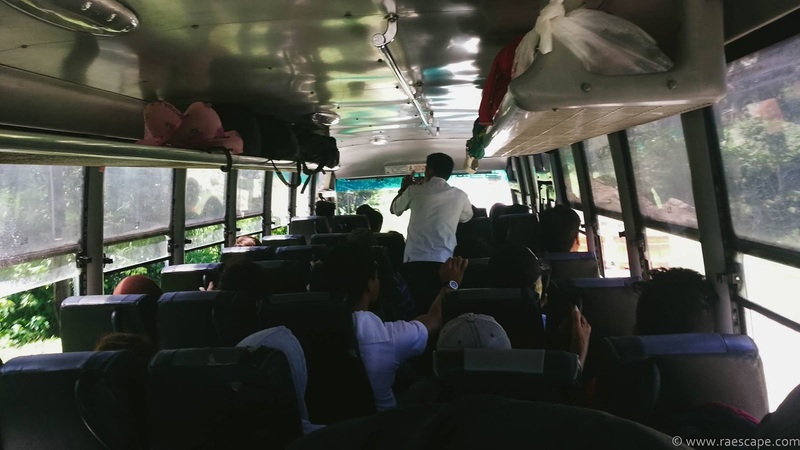 We took a Bachelor Bus bound for Bislig, with a signage of ‘Mangagoy.’ Mangagoy is a town in Bislig. We arrive in town around 11pm a roughly 5-6 hour ride, and headed straight to our pension house. We woke up at 5 in the morning and prepare for the journey ahead. 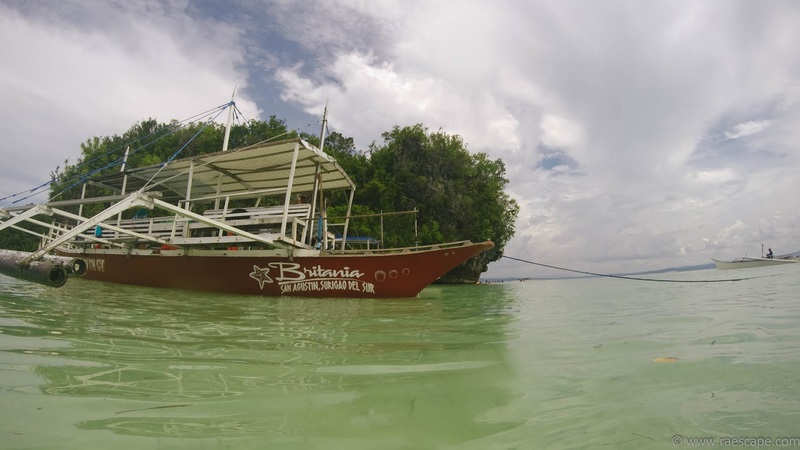 We only have two places to visit that day, the Enchanted River and Britania Group of Islands. We tried our best to avoid the crowds. So we set forth to Enchanted River as early as we can. We challenged ourselves to use only public transportation in going around the area. This way, we can save a lot instead of hiring a habal-habal that will take us to all places, which costs twice as much. That tour would cost us around 1500PHP, without entrances, purely transportation going to Enchanted River, Tinuy-an Falls and Britania. From Mangagoy Terminal, we rode a van heading to Hinatuan. From there on, we were tied in. 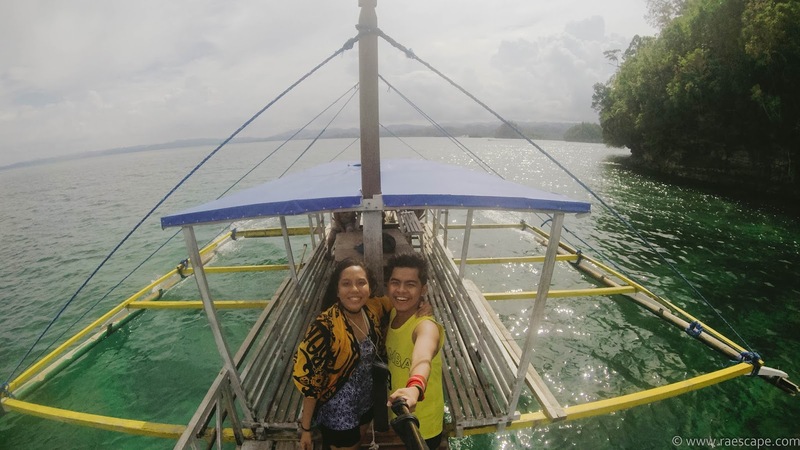 The conductor asked us if we were going to Enchanted River, we said, he can give us a habal-habal going straight to our destination, but for 150PHP. It was really hard to communicate that time because he was talking in straight, Surigaonon, a local dialect. We can only catch a few Tagalog words in each sentences. We cant hardly say no to the habal-habal the conductor set for us because he was already waiting at our stop. So we agreed to his offer. Kuya Tata, the driver of the habal-habal, was a relative of the conductor. Which was understandable, family helps family. I understood why it cost so much. 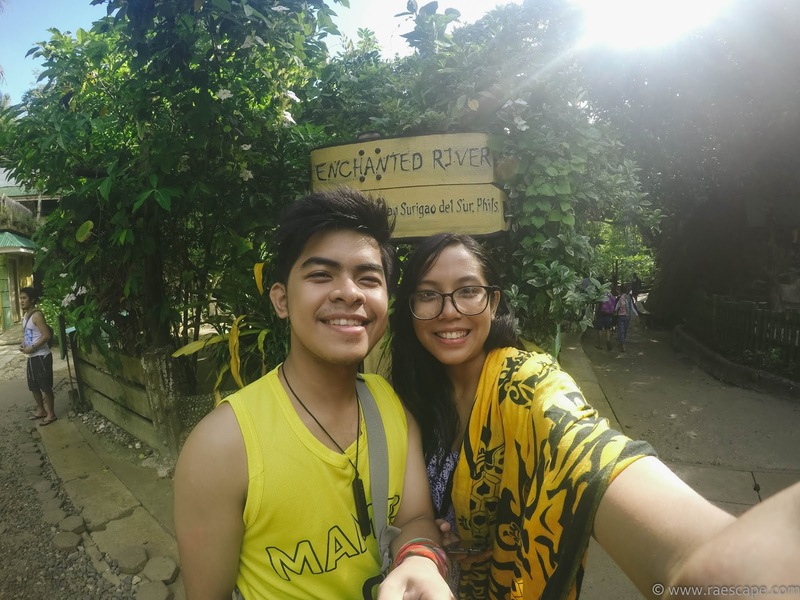 It was more or less 40 mins going to Enchanted River. We arrive at 7am, the place a little crowded. We were welcomed with tourists assembling their picnic food along the cottages near the entrance. Not far from the it, was the descent to the river. There wasn’t much of a viewing area, the stairs terminate leading to the water. 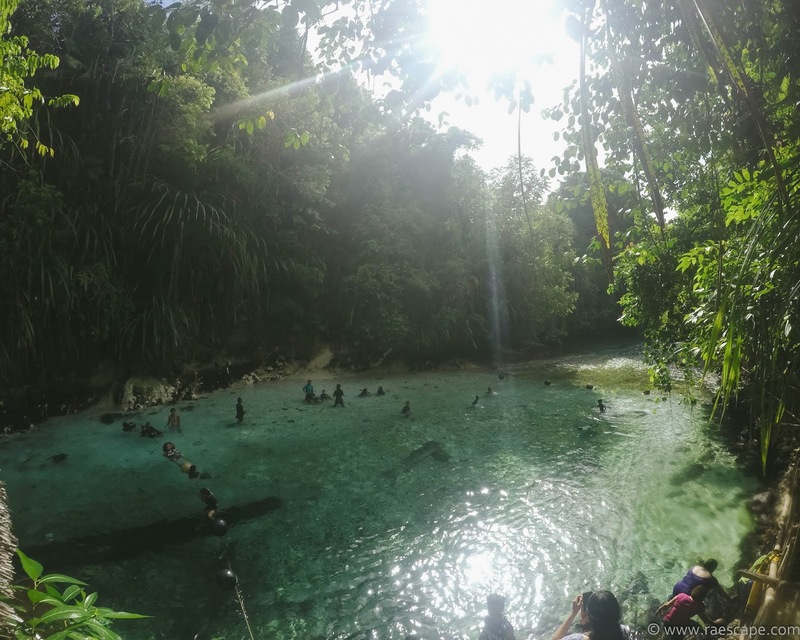 Enchanted River was one of the most visited tourist stops in Mindanao. It is known for it’s unfathomable, or we can say, unknown depth. A series of exploration were conducted, although, to some extent only. 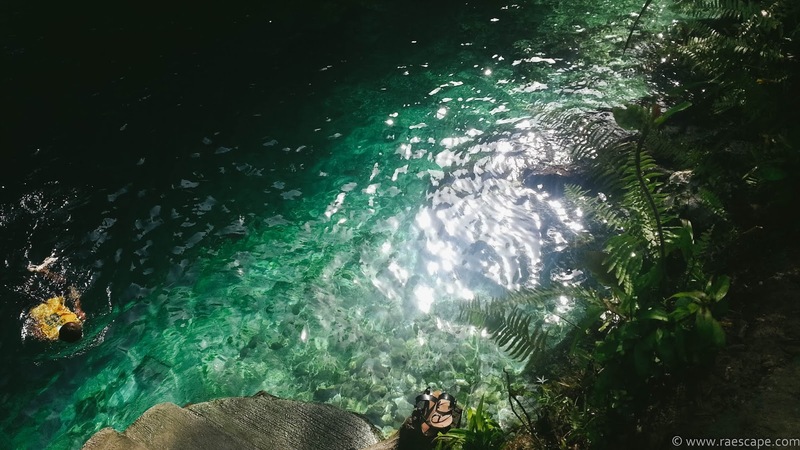 It is considered as a deep spring river, flowing to the Philippine Sea, then onto the Pacific Ocean. We took the chance and scheduled our trip with this as a priority. 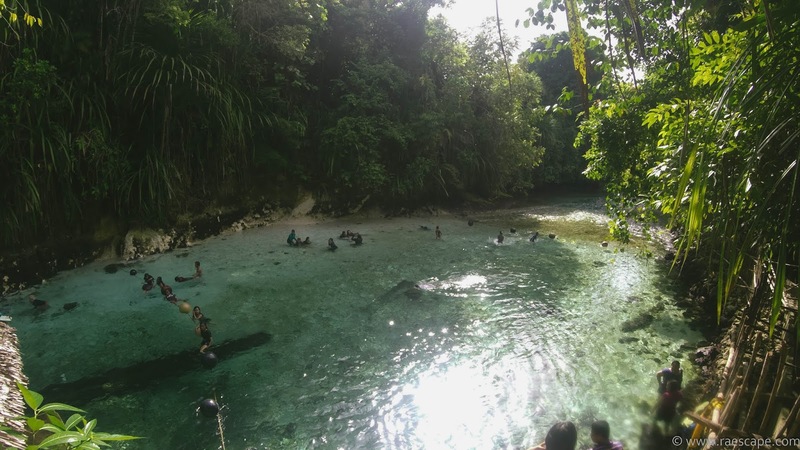 Although due to its popularity, tourists flood the area especially during noontime, where fishes of all sort leave their corals and swim along the riverbanks for their feeding. It was my first time to see a water quite this clear. 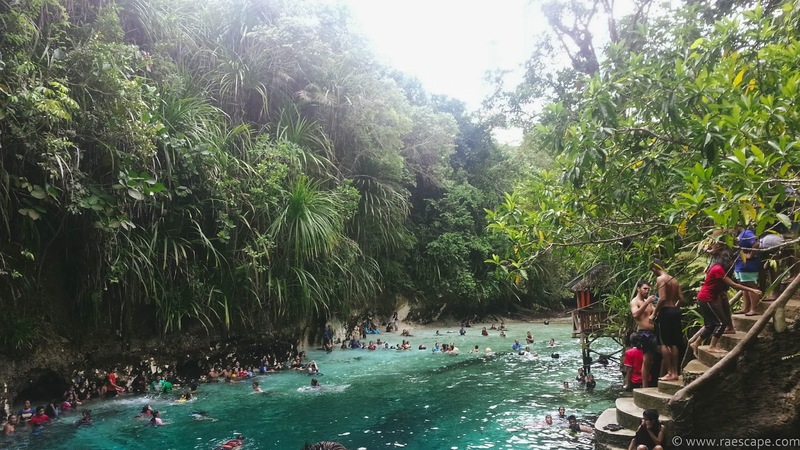 I think the lush green, overhanging trees and the river’s crystal blue waters made this place look enchanting. It’s unknown depth made it more mysterious. I loved how the sunlight shines upon the water. It truly is enchanting. At around 8 in the morning, people started coming. 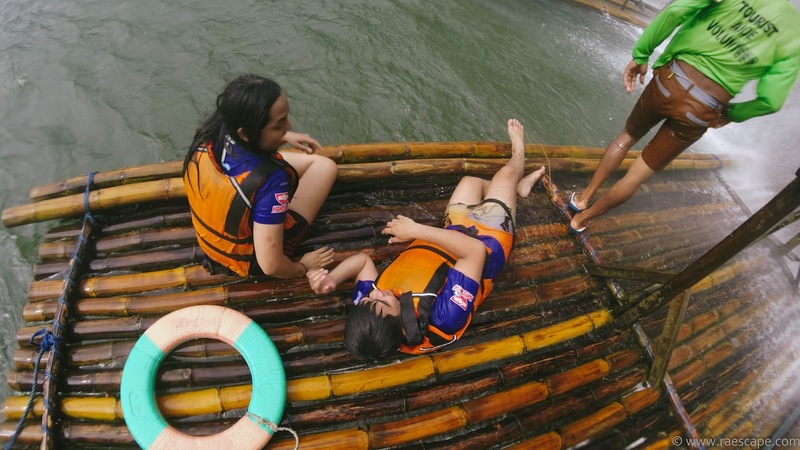 So we decided to leave Enchanted River and hop on our habal-habal for another adventure. Kuya Tata, our habal-habal driver, referred us to his Tito, Kuya Rudy. He offers tours for the Britania. So with that in mind, we set forth to Britania, San Agustin. From Hinatuan Terminal, we took a van going to Barobo (with a signage, ‘Butuan’) which took us roughly forty minutes. 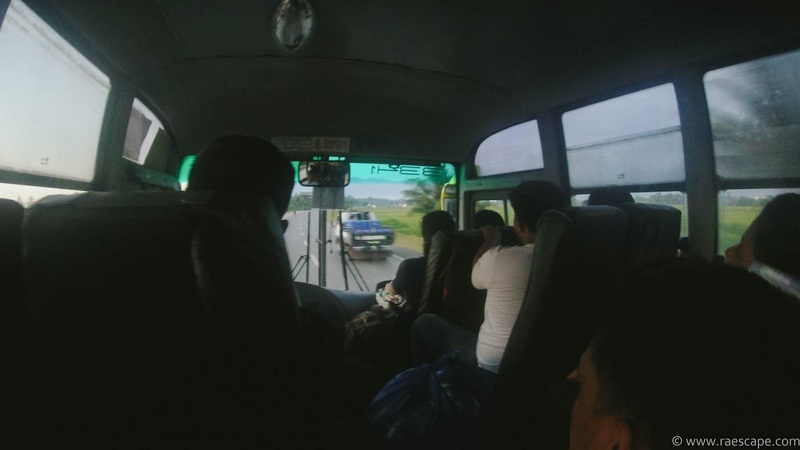 From Barobo, we took another van going to San Agustin, (now, with a signage, ‘Tandag’.) After another forty minutes and a 10-minute tricycle ride, we reached Britania. We started the tour at 12 noon. Britania Group of Islands. 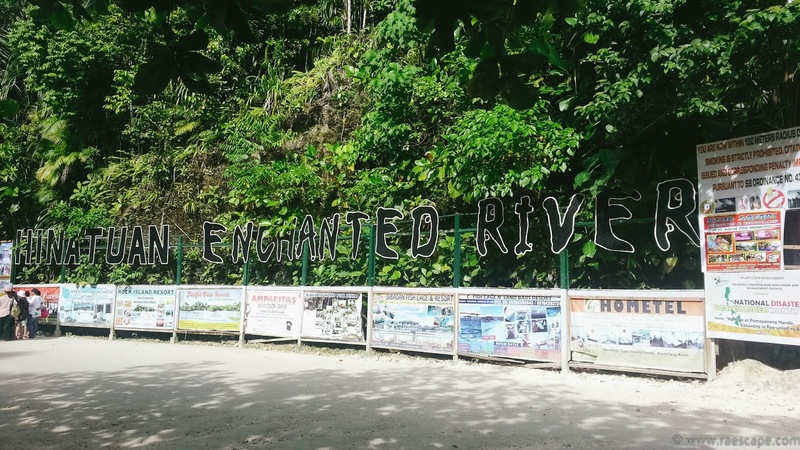 The name Britania was taken from the barangay’s name, just like the Hinatuan Enchanted River. 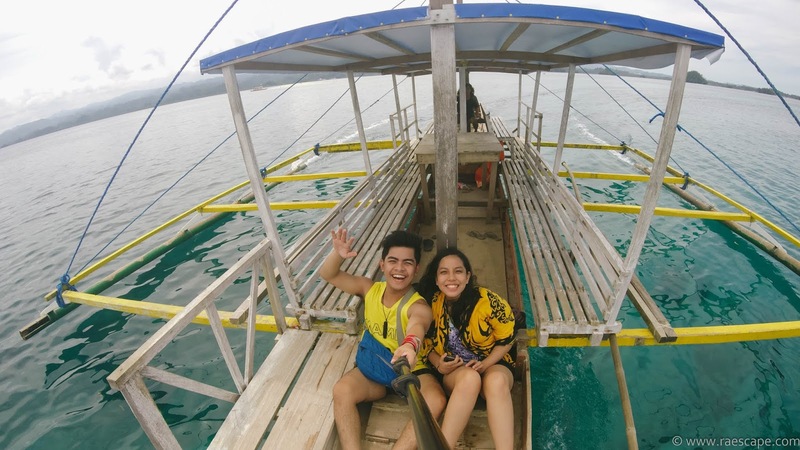 To a total, San Agustin covers 24 islands and islets, but only a few are open to the public. 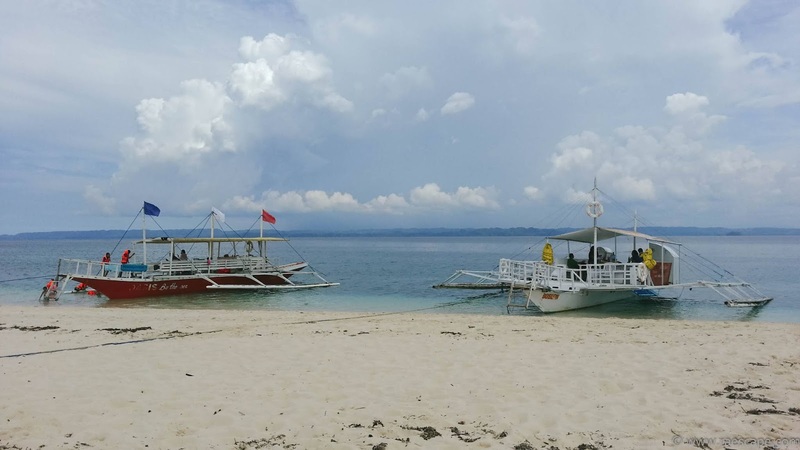 These are Hagonoy Island, The Naked Island, The Hiyor-hiyoran Island and Buslon Island— all white sand and clear blue beaches. 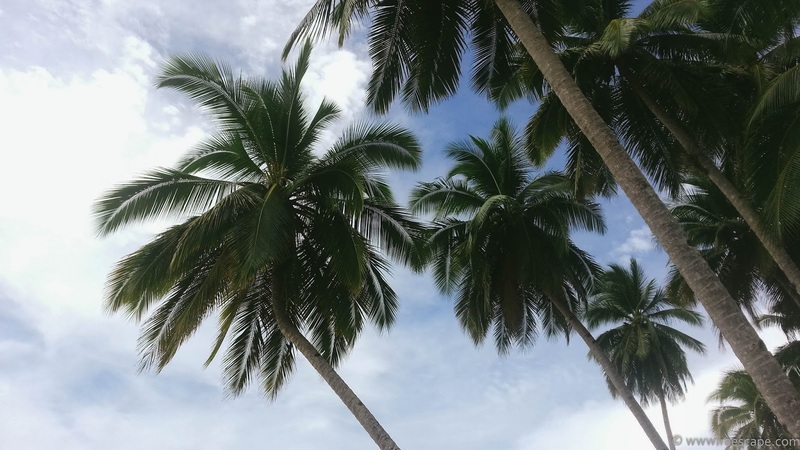 We took our time at the last island on the list, Boslon Island. 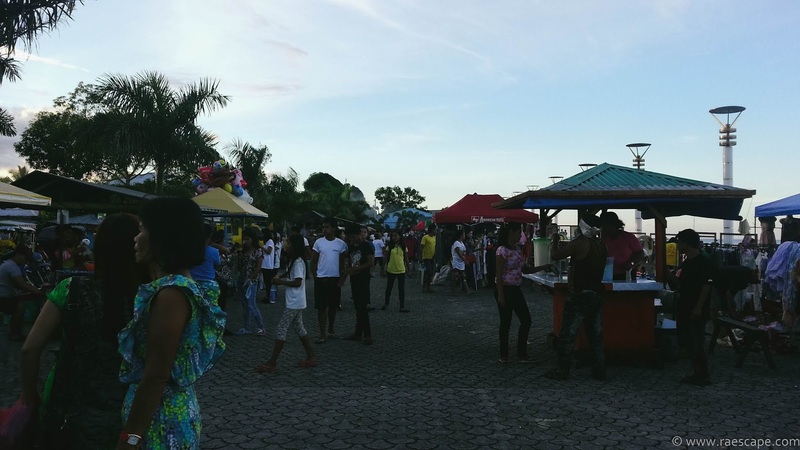 Boslon is typically the last island to visit because it houses souvenir and food stalls. 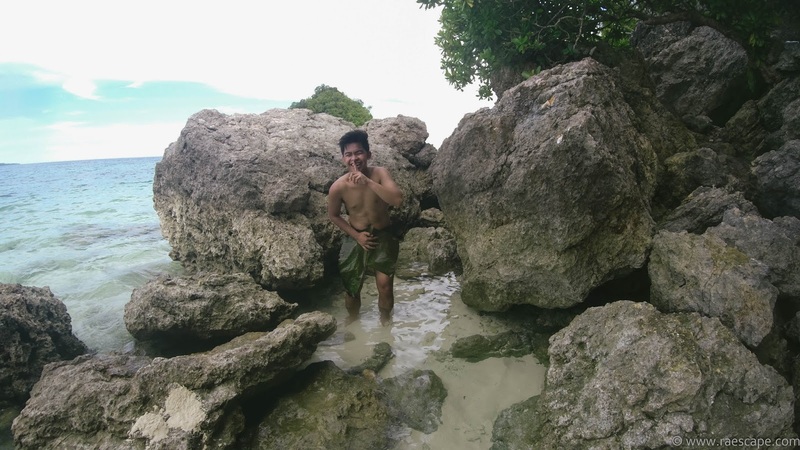 Aside from Naked Island, Boslon is the ideal place to swim. 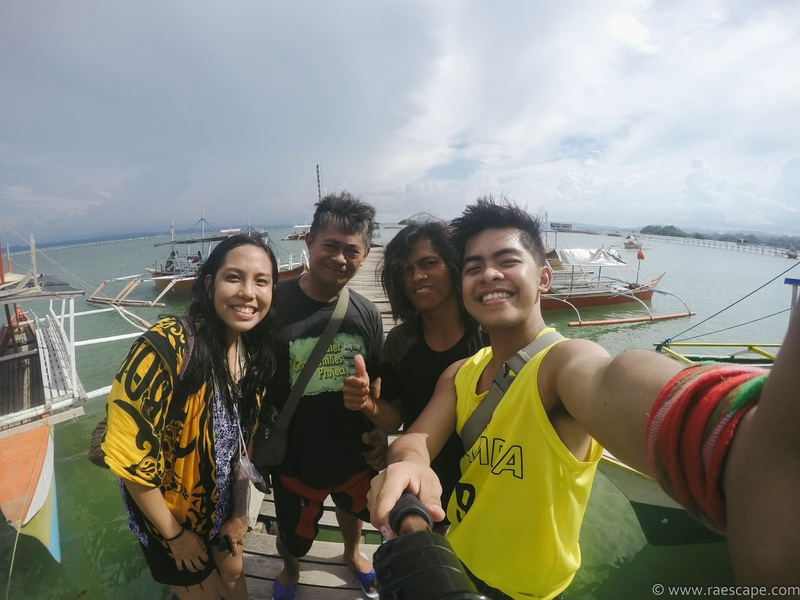 We managed to finish the island-hopping within an hour and a half. Trust me, we weren’t rushing. We were so excited to see the other islands, we were literally, ‘on-the-go.’ The Britania islands were truly a piece of paradise on earth. This day was beyond what I expected. Now, onto the next. 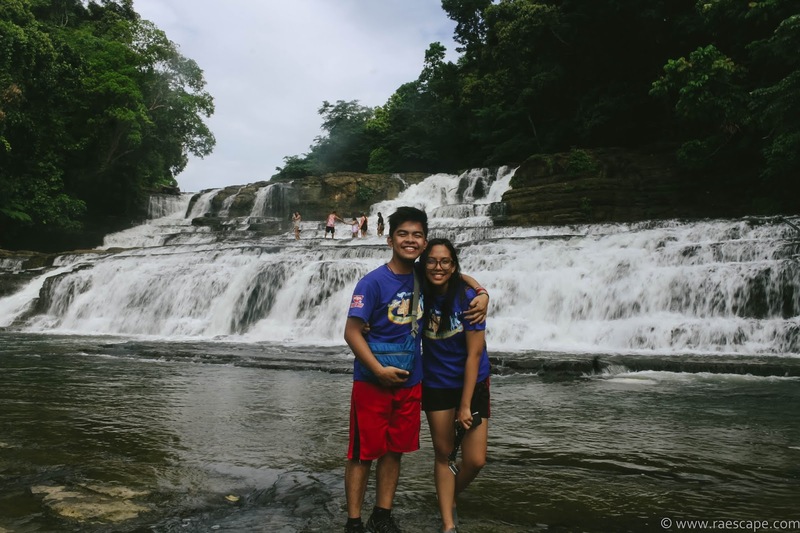 We scheduled our day with Tinuy-an falls and a lot of roadtrips. We prepared our things and headed to the highway. We planned to commute our way to the falls, knowing that it is just a few streets away from where we were staying. We saw a huge signage and thought it would be a few minutes hike to the falls. On the contrary, a local habal-habal, Kuya Warren, said it would take roughly an hour to get there. Although a little half-hearted, we took his offer— the locals know their land, right? So we hopped on his habal-habal. We passed 5 barangays, three bridges and a series of uphill to get to the entrance. As we leave the habal-habal, we can already see the catch basin of the falls. Wow. As we walk towards it, the more clearer our view became. 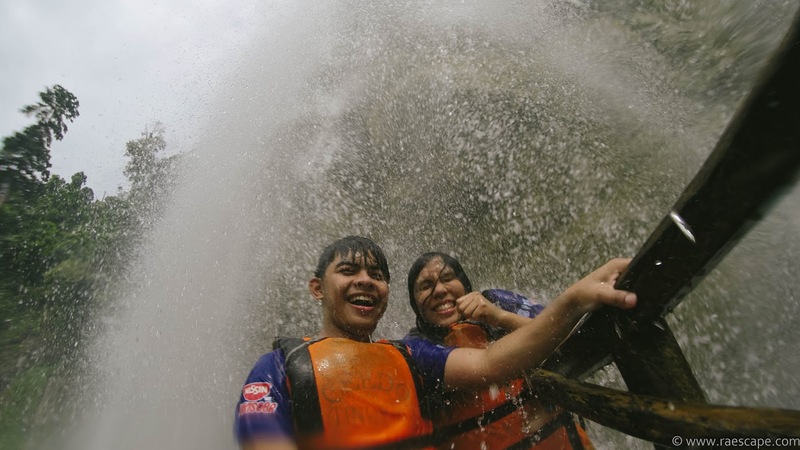 The Niagara Falls of the Philippines. 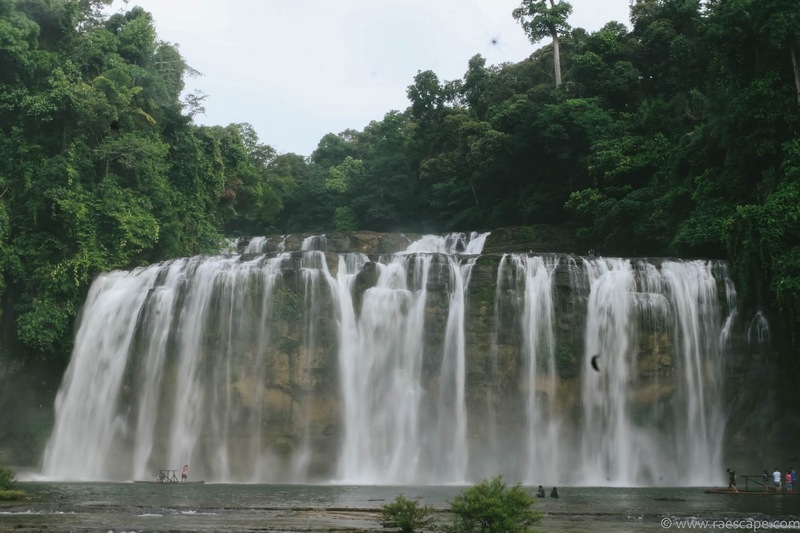 Tinuy-an Falls was considered the Niagara Falls of the Philippines because of its multi-tiered waterfalls. It is roughly 55 meters high and spans 95 meters in width. The place was so photogenic, I think we took a few hours just admiring its beauty. 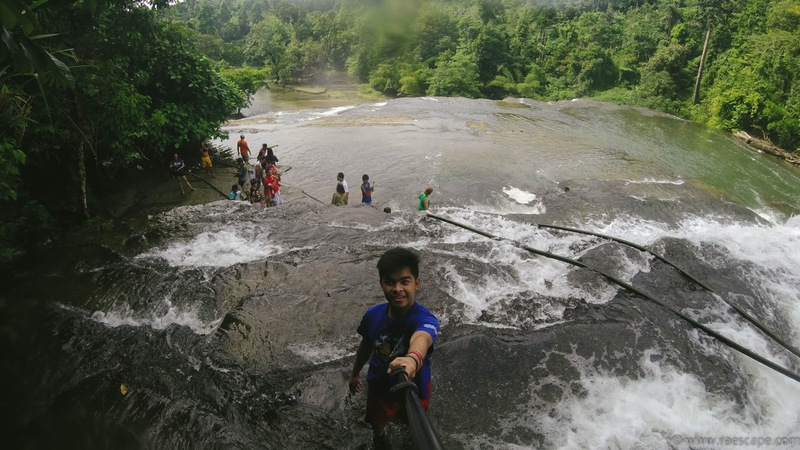 ON TOP OF TINUY-AN FALLS. From afar, we already saw groups of people on top of the falls. So we decided to try it as well. 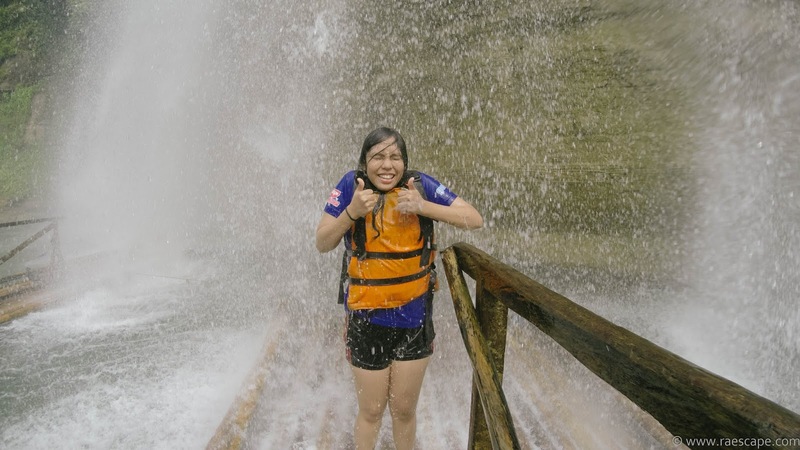 Although it was a short ascend to the top, the keepers require a guide going up the falls, and on top of the falls were another set of cascading waters. The trip wasn’t complete without jumping into the water! This place was definitely worth remembering and coming back to. We were having fun and I still wasn’t ready to leave the place yet. We were already 2 hours beyond our scheduled itinerary, so we decided to freshen up and head back to the pension house in Mangagoy, pack everything, and head to the terminal. Now the long travel begins. 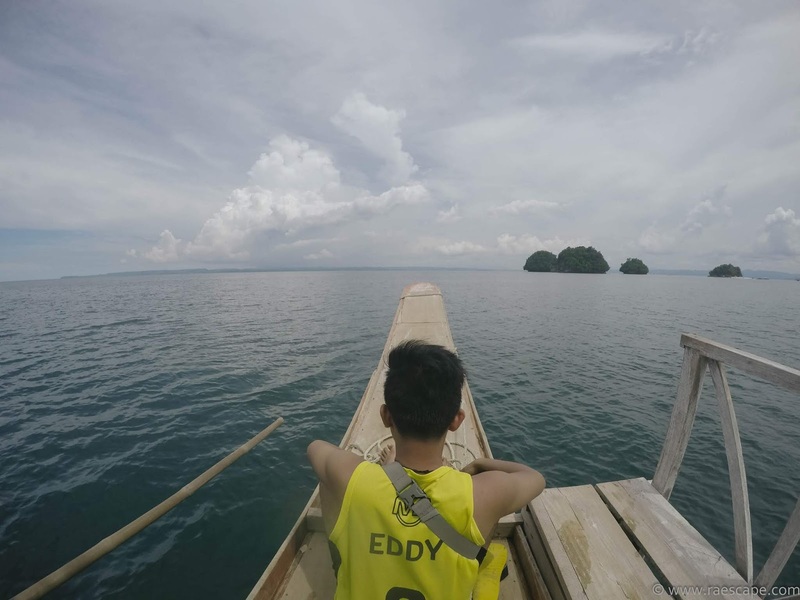 We are now heading to Hayanggabon Port in Claver, Surigao del Norte. 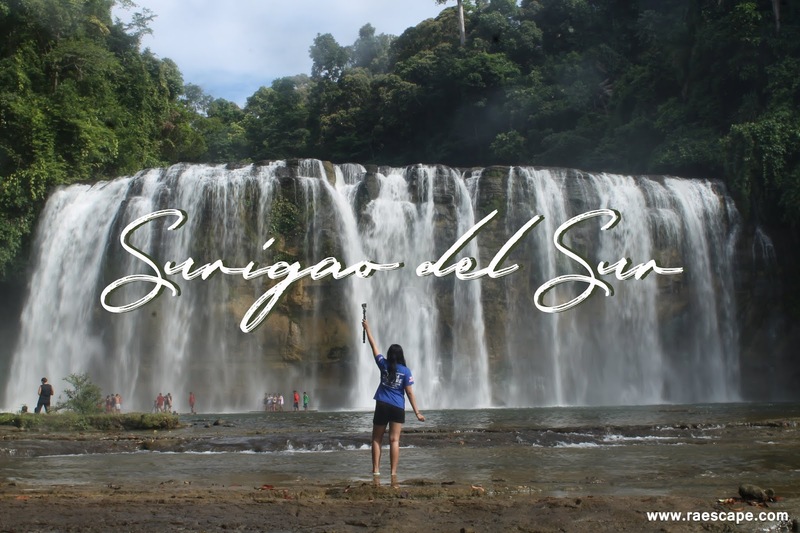 Aside from Surigao Port, it is a gateway to Bucas Grande, Socorro. So we took a bus to San Franz with a sign ‘Butuan.’ We already bought tickets when a fellow passenger told us to get off Barobo (which all vans with a signage Tandag also pass by) and take a van to Tandag. 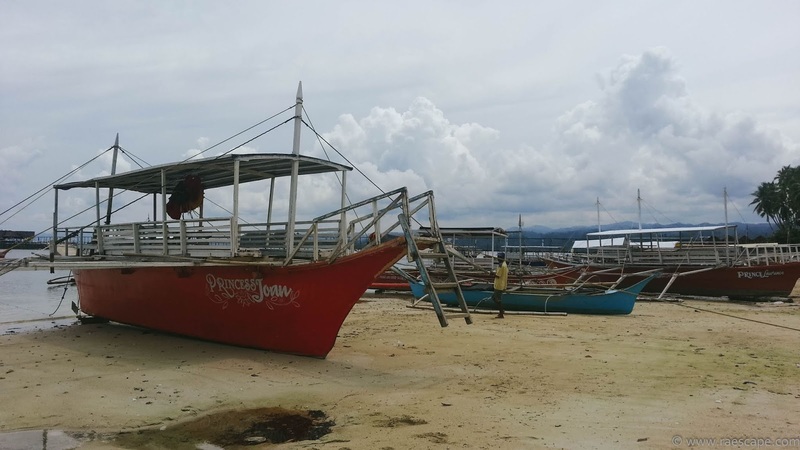 Then from Tandag, another van to Claver, that’s where we plan to stay so that in the morning, it would be a short travel to the port. We took a Mangagoy-San Franz-Tandag route so we arrived in Tandag 30 minutes passed 5. We were excited to get on van when the locals said that we missed it. The last van going to Surigao City (which passes by Claver) leaves at 4 in the afternoon. We decided to take the earliest trip to Claver at 1am the next day. We then look for a place to stay for a few hours. We asked some locals about any hotel or pension house we can stay that’s near the terminal, and they suggested Shacene by the Sea. For only 400PHP, we got a room with a nice view of the ocean! And just downstairs, was their restaurant. 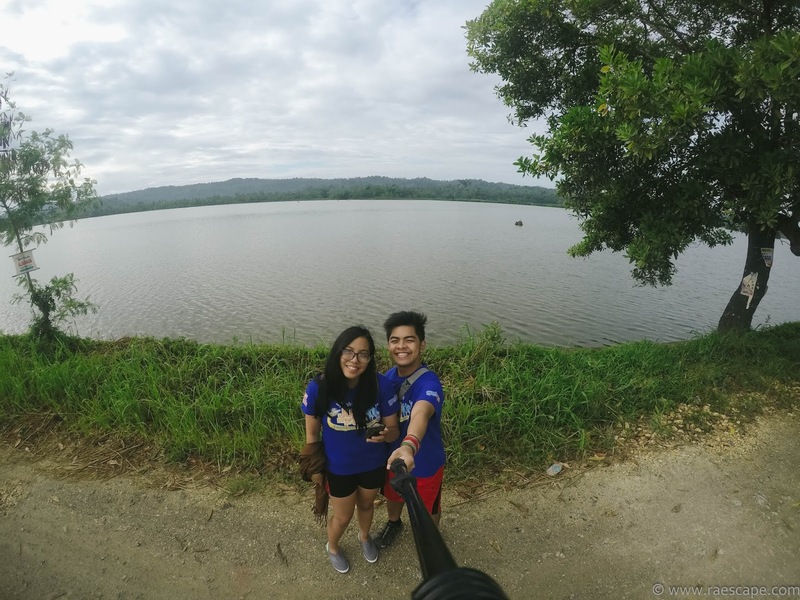 Since we were already in Tandag, we decided to explore the nearby places. We decided to walk along the bay and was surprised to how it looked like Manila Bay. 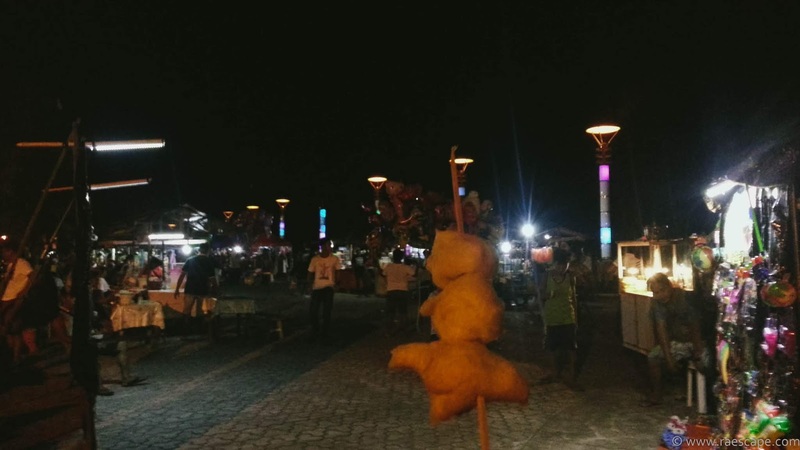 It has a bazaar, food stalls and restaurants with ihaw where you can chill and drink. Perfect for hangout with friends. 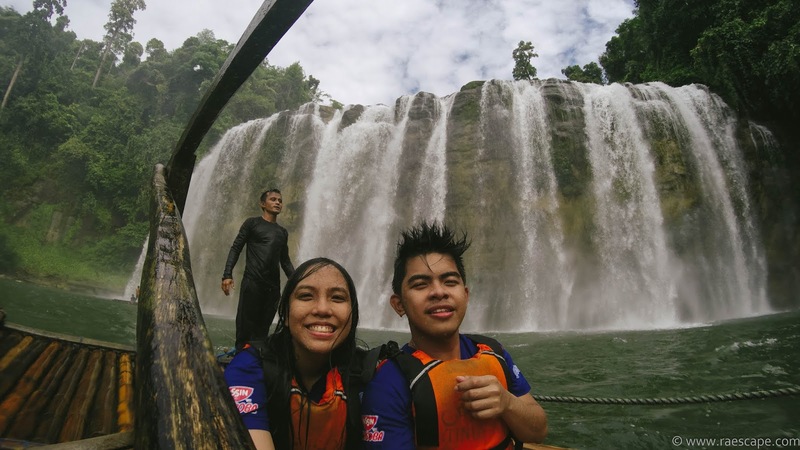 Mangagoy to Tinuy-an Falls: 1 hour via habal-habal | 500PHP roundtrip, 250PHP per way | I suggest riding a habal-habal coming form Mangagoy to make it hassle-free. It is 7km away from the highway. 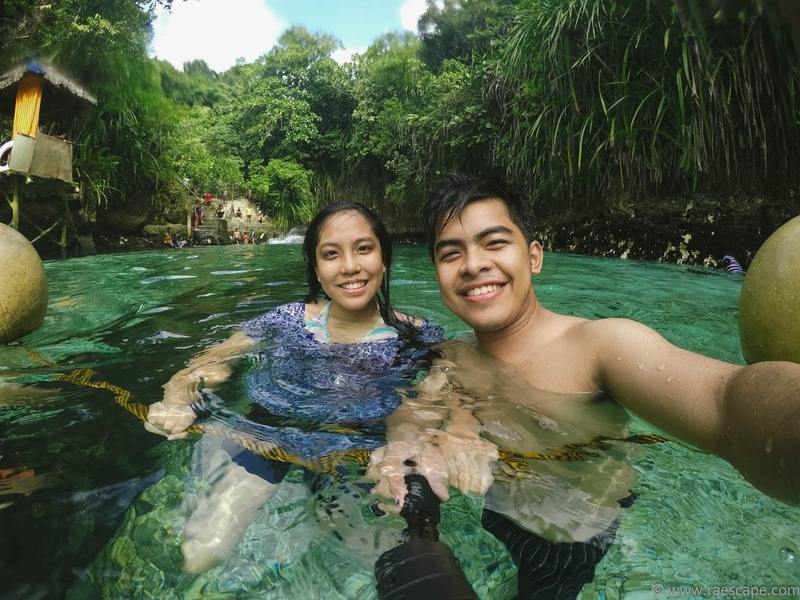 Tip: Schedule your trip with a Enchanted river-tinuy-an falls, then Britania tour next day. It would be cheaper. Me too! I enjoy saying habal-habal. This kind of motorcycle can only be found in the provinces of Philippines and is considered as one of the main transportation since most places are far from each other and the quickest way to do it is through the habal-habal. Sadly, no trains yet in Mindanao and less chances of cabs or taxis. 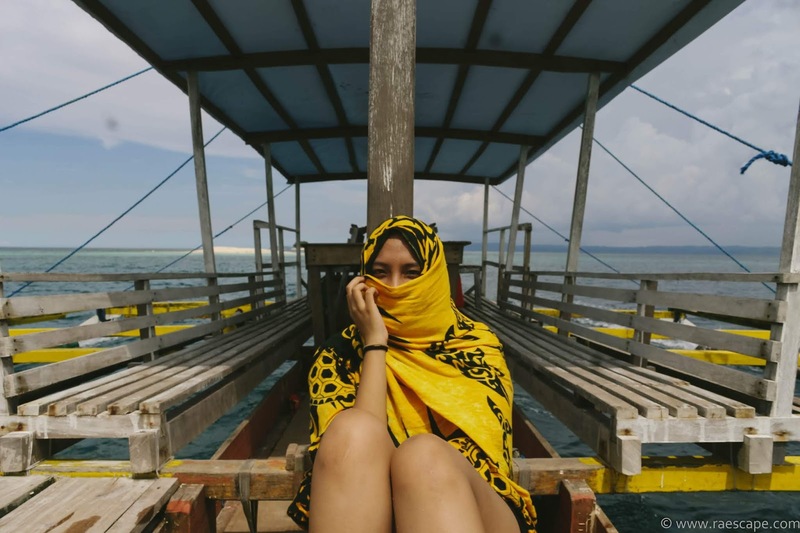 You can opt to use our local 'jeepneys' or an air-conditioned car good for 12pax+.